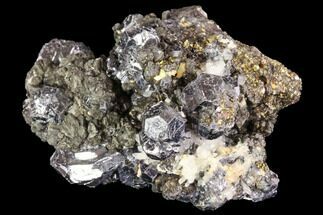 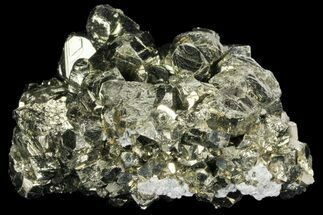 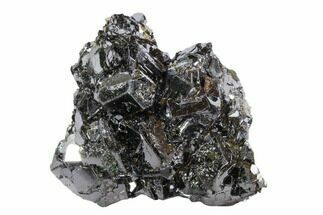 This is beautiful cluster of large, gleaming pyrite cubes. 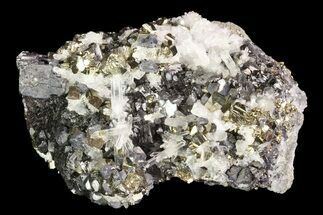 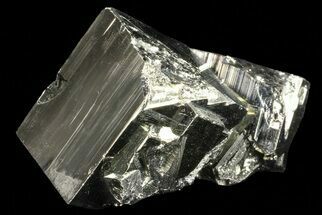 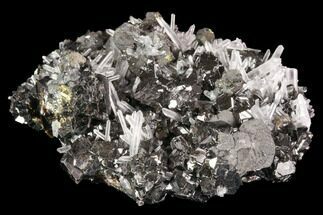 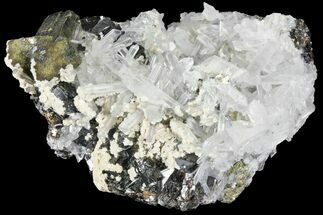 It comes from the Huanzala Mine in Peru and the entire specimen measures 2" wide. 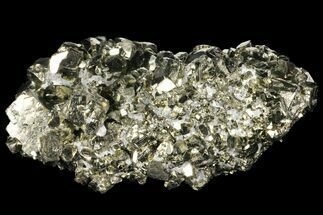 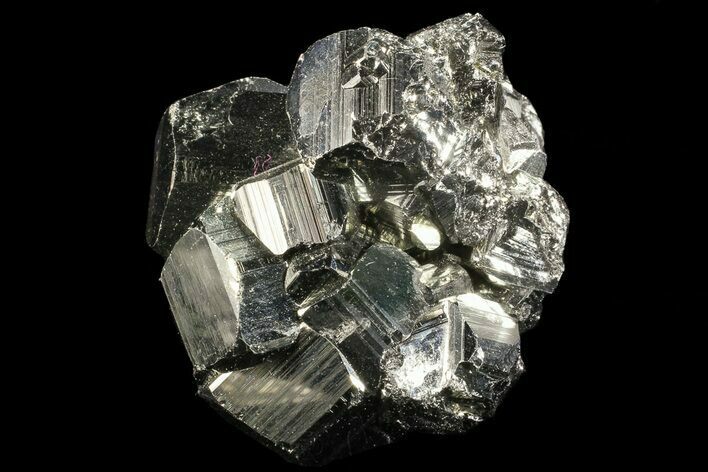 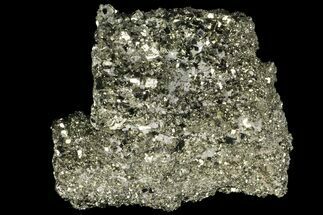 The largest cubic pyrite crystal is .8" wide.